ChevroletSee What Sets Us Apart! 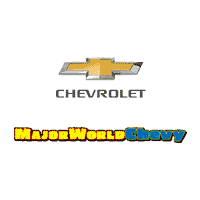 Major World Chevrolet! We are proud to serve our Marines, Sailors, Soldiers and Airmen stationed at the nearby military bases, including Fort Hamilton in Brooklyn. If you are searching for a new or used Chevrolet in the Queens, NYC area, our friendly staff is ready to provide you with all the help that you might need. We also welcome Brooklyn & Manhattan Chevrolet drivers with the same level of service that those here in Queens have come to know and love. We’re always here to assist you in any way possible, whether you need a price quote or help finding the perfect financing option, we’ve got you covered.